When my previous marriage was coming to a point of separation, I sought the advice of a pastor. This pastor told me that if I were to potentially reconcile my marriage, I needed to leave the church I pastored because it was a toxic environment. The word “toxic” never crossed my mind, but a minority was beginning to make it impossible to move forward. I had several encouragers, but the voices of the naysayers were louder. My children would hear church members say mean things about me when no one knew they were around. It took about 2 years to heal from an 11-month period. Someone who is reading this today may be in a toxic environment. I am not saying take the easy route and leave immediately. I am saying that if you have done everything possible, it may be best for your health (physically, emotionally, and spiritually) to remove yourself. This may be a workplace, church, abusive situation, etc. I don’t know, but pray it through. 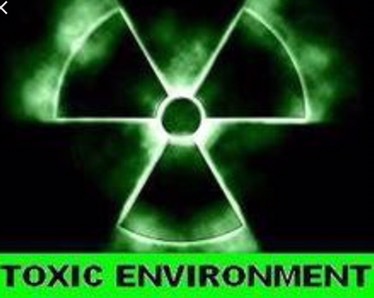 Many never get the help they need because they accept their toxic environment as normal. Get out and find a healthy place where you can become the person God wants you to be. Whatever you do, make sure God has led you to that point. Sometimes we ourselves are toxic and need a new environment so that we can experience freedom and be who God created us to be. Thank you. Very true! Our toxicity can often play a part in this. Praise God that He frees us from ourselves!